A consortium of Native Hawaiian leaders with deep roots in the community will facilitate a nation building process to move Hawaiians a step closer to self determination. The leaders have formed Na‘i Aupuni, a Native Hawaiian organization, that has signed a grant agreement with the Office of Hawaiian Affairs to facilitate nation building. Under the terms of the agreement, Na‘i Aupuni will make its own autonomous decisions while OHA will fund the process. 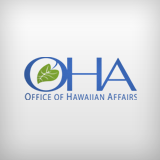 “This is an encouraging sign for our efforts to empower Native Hawaiians to determine their own future through a process that is open to all of them,” said OHA Chairperson Robert K. Lindsey Jr. The nation building effort was first announced following a March 6, 2014 vote of the Board of Trustees. OHA then held a series of meetings with the leadership of various organizations founded by Hawaiian ali‘i. The separate, independent entity, Na‘i Aupuni, is a consortium of Native Hawaiian leaders who have stepped forward from among the ranks of these ali‘i founded-organizations to facilitate Hawaiian nation building. Na‘i Aupuni will oversee the solicitation of third-party expert organizations to administer a three-stage nation building process: a Native Hawaiian election of delegates; a convening (“ʻaha”) of those delegates to draft a proposed governing document; and lastly, a ratification vote by which Native Hawaiians will collectively approve or disapprove of the draft governing document. In addition, Na‘i Aupuni will select an independent monitor to oversee the election and ratification. While Na‘i Aupuni will facilitate the process, every major decision – who is elected, what the draft governing document will say, and whether it is approved – will be determined by the Native Hawaiian people. Na‘i Aupuni’s directors are unpaid volunteers. They will not run for office within the nation building process. OHA does not have any decision-making authority in the nation building process. Q: What will be OHA’s kuleana in the nation building process? A: OHA’s role has been to support the nation building process by providing funding to Na’i Aupuni to fulfill its kuleana, and to provide information to the broader community. Q: What will be Na’i Aupuni’s kuleana in the nation building process? A: Na’i Aupuni will play an active facilitator role in the nation building process by overseeing the solicitation of third-party expert organizations to administer the three-stage nation building process (election, ‘aha, referendum). Q: Who is Na’i Aupuni? And why did OHA select this group? A: OHA met with leaders of a wide array of organizations formed by Hawaiian ali’i for benevolent purposes. The members of Na’i Aupuni are individuals who came forward from among that group to take on the kuleana to actively facilitate the nation building process. Learn more about Na’i Aupuni at www.naiaupuni.org. How will registration be handled? What will the apportionment look like? What are the qualifications for delegate candidates? What will be the kuleana of the delegates? What are the details of the ‘Aha? A: Na’i Aupuni, along with its selected vendors, will develop the answers to these questions. As answers are developed they will be shared at www.naiaupuni.org. Q: Is there a timeline for the process? A: Exact dates have are being determined by Na’i Aupuni, but based on Na’i Aupuni’s grant agreement, the election of delegates is anticipated to occur as soon as November 2015, and the referendum is anticipated to occur by August 2016.